South Africa’s Freedom Day (27 April 2017) wasn’t only celebrated in South Africa, but also in Saudi Arabia. The South African Consulate in both Riyadh and Jeddah hosted events to celebrate the partnership between South Africa and the Middle Eastern Kingdom. Every year, a banquet is held and South African businesses – and their Saudi clients – are invited to join, feast and network. Our team in Jeddah was fortunate enough to be invited to the event. 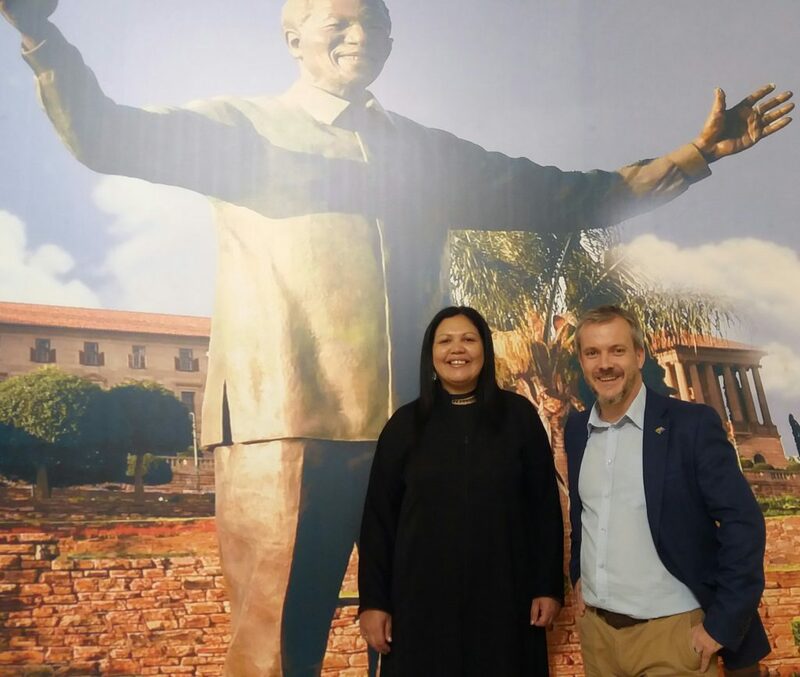 They joined 250 other delegates, alongside well-known South African businesses like Nando’s, Ocean Basket and Sally Williams. The Consulate General for South Africa in Jeddah, Mr Shoayb Casoo, highlighted Saudi Arabia’s 2030 vision for the transformation of their economy, as well as the role that South Africa aims to play in realising that vision. He also spoke of the success of the current partnership between the two states, with Saudi VISA applications increasing by 45% and visits from South Africans increasing a whopping 65% (over 15 000 visits in the last three years alone). In addition to the festivities, South African artist Mbongeni Buthelezi was invited to showcase beauty out of waste. Mbongeni melts plastic litter and uses it to create masterful creations. With over 2 decades’ experience in the art scene, Mbongeni is widely regarded as one of South Africa’s most innovative artists.